Cookie Time Limited has some significant growth goals, and the franchise network will play an important part in this growth. It is a dynamic time, with incredible opportunities for franchisees to add value to our business and reap the appropriate rewards. To register your interest for any future NZ franchise runs that may come up, please click on the link below. We’ll load your information onto our database and notify you in writing if a franchise in your area of interest becomes available, giving you the opportunity to apply. 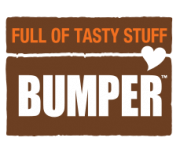 Since 1983, Cookie Time Limited has been making some of New Zealand’s most loved food brands, with an enviable portfolio that includes Cookie Time®, Bumper™ and OSM®. We offer the best of both worlds for franchisees – independence and business ownership, supported by a high performance portfolio of iconic Kiwi brands and rewards that directly reflect your best efforts. Franchisees must be sales-driven and have the capacity to meet financial requirements as well as business acumen and a sense of humour; bringing to life our company vision – a taste for every occasion, a smile on every face! Some of the key advantages to the CTL franchisee model are the opportunity for self-employment and direct financial returns for time and effort; being part of a proven business with substantial brand equity and a portfolio of iconic brands; an ongoing new product stream and compelling promotions; a semi-monopoly environment in which to operate and a national support network. Our successful franchisees are creative thinkers and self-starters with initiative, drive and youthful enthusiasm. Passionate brand custodians, they are sales and service driven with a proven track record. This cost varies depending on the size of the business for sale and is based on the recommendation of 10% of the annualised turnover excluding GST in set of accounts. Goodwill component is passed to the previous franchisee at the conclusion of the sale and purchase process. Goodwill is exempt from GST. This is a fee charged by CTL to cover costs for administration, brokerage of sale, and training of new franchisee. CTL’s preferred van choice is the Toyota Hi-ace and this must meet CTL specifications, including white with decals applied. CTL has negotiated a competitive deal with Toyota, with details being provided during the sales process. Van prices vary between $38-52K. Decals cost approximately $2900 + GST including application. Costs are approximately $1800. An Apple MacBook and accompanying backup hardware/accessories are the preferred choice. Broadband plan for internet /intranet access is also a prerequisite – please consult your telco provider for quote. This is sometimes available through the outgoing franchisee. Costs are approximately $850 for a new iPad Mini with protector case and handle. Along with the Handheld invoicing system, a printed invoice is a requirement to leave with Retailers as goods are receipted in. Current portable printer supported is the Brother Thermal printer at a leasing cost of $25/month. The ability to receive messages via a text service is required. Our Franchisees may work with a supplier preferred by them. As a CTL franchisee, you will need to fund your stock with weekly account balancing of your purchases, while CTL will fund your debtors. As such, a working capital requirement proportional to the size of the business’ weekly purchases and the growth it is experiencing is necessary. Working capital is an ongoing financial requirement. Please consult your bank for breakdown of costs associated if you intend on using short term financing via overdraft facility. 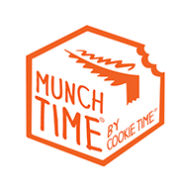 Cookie Time Ltd. require Franchisees to use the Xero accounting package at a cost of $60/month. It is a prerequisite that an annual set of accounts are prepared and provided to CTL at the conclusion of the April to March financial calendar. Please consult your accountant for a quote. It is also recommended you consult your accountant on business set-up practices, particularly around tax liabilities. Public liabilities, full vehicle cover for van, equipment cover, and business interruption/income protection insurance are a prerequisite of this franchise. Please consult your broker for a quote. It is recommended you consult your solicitor for legal advice during the sales and purchase process and to get advice on starting up a business. Please consult them for a quote.